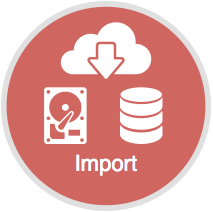 ANKHOR is a revolutionary platform for in-memory processing of data from diverse sources and in variable data formats. The heart of this platform is the FlowSheet data workbench for modeling applications, reports and data services, and the ad-hoc analysis of the data. Hundreds of operators turn FlowSheet into a universal and cross industries tool. In addition the modular ANKHOR server helps realizing complex data projects, and also scaling them and working in a team. From a simple up to a complex format, from structured up to unstructured, compressed, distributed or exotic, ANKHOR FlowSheet fetches your data from its origins. Creating a table and entering data or edit it, that’s a cinch. We thought of that as well. Your memory is not the limit. Thanks to Stream Processing ANKHOR FlowSheet takes your Big Data to your laptop. 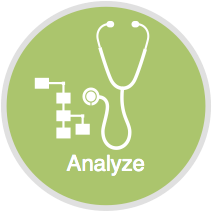 Data quality is the alpha and omega of any analysis. With our powerful tools we do not let you down. Data outliers and gaps do not remain hidden – and get completed. You analyze your data with simple methods of visual data exploration to recognize ad-hoc relations, trends and patterns. 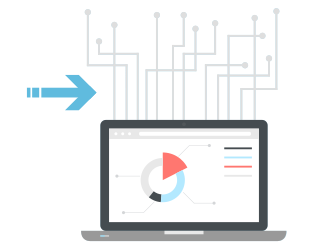 You can develop Data Mining and complex models of Predictive Analytics on your data workbench interactively, or use cross industries and custom analysis methods from pre-assembled solution packages. The data workbench turns an interactively created data processing sheet into a reusable automated sequence of operations for varying data. Exceed using tables of strings, numbers, dates and time values, ANKHOR offers integrating various complex data types. The In Memory Processing provides for high throughput and short latency and allows you a continuous inspection of intermediate results in the data flow. 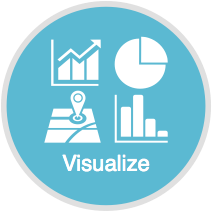 With a few clicks you create standard diagrams, a Dashboard layout or a report of your data and visualizations. Exceeding the common diagrams. With our construction kits you model convincing new variants. Your data requires unconventional visualizations? Develop your own forms of diagrams based on 2D and 3D vector graphics elements. 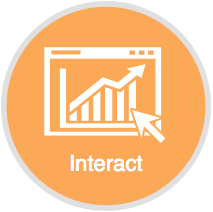 Present your data interactively, locally or in the Web, and turn the Dashboard into your silver screen. Simple-to-create, dynamic Dashboards with interactive filters, tables, diagrams and graphics. Model as a team – locally or globally, with the flexible collaboration features and server variants of ANKHOR FlowSheet. A work flow completely without Run or Compile. 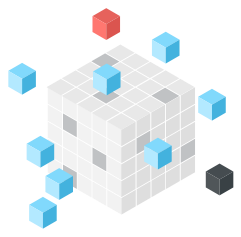 FlowSheet utilizes its in-memory technology not only for fast processing of huge amounts of data, but also in parallel for modeling the data flow. Results are available instantly, speeding development and enabling data inspection in each step of processing. This way FlowSheet offers high transparency and reduced probability of errors. 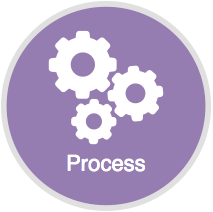 graphic modeling of data processing is that easy with FlowSheet. A continuous data flow paradigm combines modeling with the feature of programming, should this be necessary for a special type of data processing or for extensions. Learning a script language is not needed. Instead you are supported by one of the most advanced modeling tools for data flow graphs. Make the data workbench a tool factory. The unique feature of FlowSheet is the simple application of interactive tools in the data flow graph, reaching from tools for visual data exploration and the ad-hoc analysis up to interactive wizards for data selection or filtering. And there is more: You can integrate these tools into interactive Dashboards or extend and customize them. 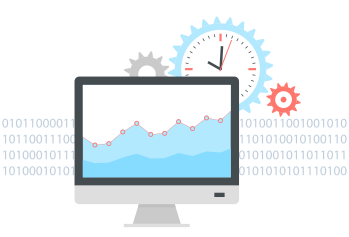 With selected functionality ANKHOR helps reducing data preprocessing time and maintaining flexibility at the same time. Chains of different tools can be avoided. FlowSheet picks up the established principle of spreadsheet calculation with interactively entering data and cell formulas and takes it an important step further. Create an OLAP data cube directly from tabels for drilling or slice-and-dice analysis. A database or data warehouse is not needed. ANKHOR supports data analysis with common methods of statistics and prediction, but also with quite case specific methods of analysis in a single tool. Impressively present your data with the built-in diagrams and visualizations. Even extraordinary visualizations can be modeled. FlowSheet can quickly and easily create complex interactive Dashboards. These are especially powerful with the integrated functions of OLAP data cubes.